It's not the first time Russian planes have simulated such an attack. Flying in attack formation, a group of Russian Sukhoi-24 attack aircraft simulated a strike on a radar installation last year, turning away just before Norwegian airspace, according to that nation’s intelligence officials. The dramatic simulated attack happened on February 14, 2018, Director of Norway’s Intelligence Service, Lieutenant General Morten Haga Lunde, told the audience in his annual speech for the Oslo Military Society on Monday. “Russia’s rhetoric against Norway has grown sharper,” the intelligence director said. He then showed the map of how a group of 11 Su-24 (NATO name Fencer) supersonic attack aircraft taking of from Monchegorsk air base on the Kola Peninsula flying out in the Barents Sea before taking a 180 degree turn into an attack formation towards Vardø. “The scenario was very similar to what took place on March 24th, 2017, but this time with more aircraft, in total 11 Fencer planes, in formation,” Morten Haga Lunde said in his speech and quoted by TV2. 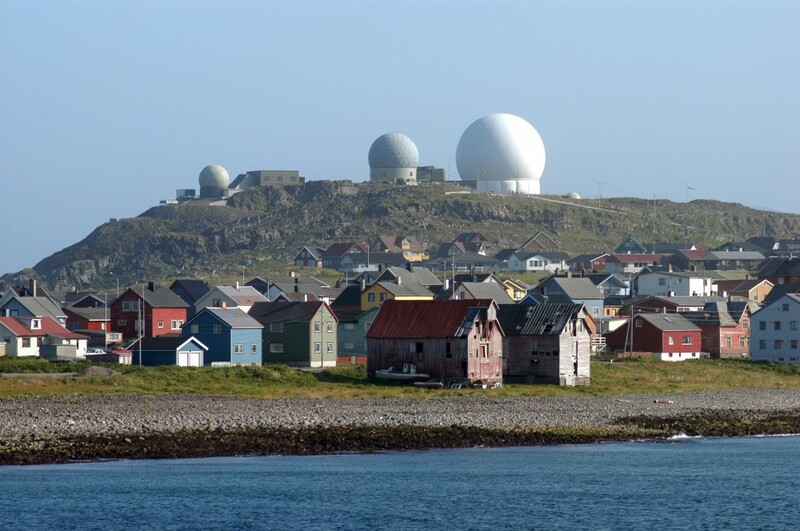 Located on a small island on the Barents Sea coast, Vardø is traditionally a fishing town, but its location close to Russia’s heavy militarized Kola Peninsula makes it a perfect location for radar surveillance. The so-called Globus-II radar has for decades been a thorn in relations between Moscow and Oslo. Officially the radar observes objects in space. It is also believed to be highly capable of monitoring and building a signature database of Russian ballistic missiles. The radars in Vardø are operated by the Norwegian Intelligence Service. “Obviously, the Russians know that their fighter jets are being tracked by radar when they operate in this region and when they approach Norwegian installations, bases or naval exercise areas in attack formation. Such behavior does not exactly contribute to an atmosphere of trust and predictability at the regional level,” Åtland says. “This is the emerging security challenges that Norway is facing in the High North,” Kristian Åtland elaborates. “This may potentially heighten the risk of dangerous episodes and lead to a further deterioration of Russia’s already difficult relationship with the West and NATO,” Åtland says.